Home › News › First Look at the newest product. Every fall a select group of buyers from two national buying groups converge on a basement conference center in the Northeast to begin the product review and negotiations for the upcoming buying season. Its that time again, the shows have begun and the brands are setting up for their preview showings. In a matter of 72 hours the 2016/17 lines from Alpina, Elan, Armada, Head, Smith, Marker, Dalbello, Volkl, Giro, Tecnica, Blizzard Nordica, Dynastar, Lange, Look, K2 Skis, Line, Full Tilt, Fischer, Rossignol, Rome, Flow, C3 and Arbor will be viewed. The direction of our industry and the advances in technology are exciting and impressive to see. 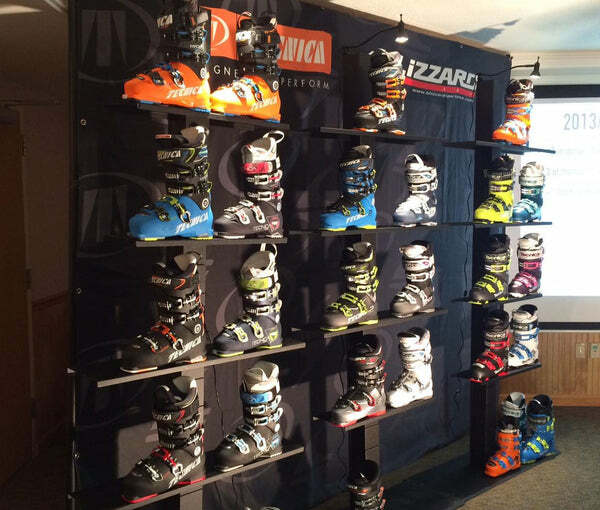 Skis being lighter and easier to use, bindings being safer and accepting of new uses and the general comfort and warmth being added to boots all show the strength of winter sports as a whole.